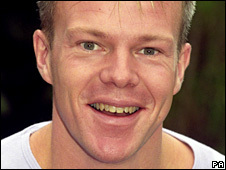 TV presenter Mark Speight, whose fiancee died in a bath after taking drugs, has been reported missing. 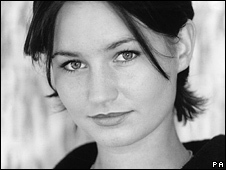 He found Natasha Collins, 31, dead at their flat in St John's Wood, north-west London, on 3 January. Mr Speight, who fronted BBC children's show SMart, was arrested on suspicion of murder and supplying Class A drugs but no charges were brought. The 42-year-old was last seen walking along Chamberlayne Road, Kensal Rise, north-west London, on Monday afternoon. Police said Mr Speight was dropped off at Wood Green station, north London, on Monday morning. He was later seen walking towards Chelmsford Square in Kensal Rise at about 1315 BST. Last week a coroner recorded a verdict of death by misadventure at an inquest into the death of TV actress Miss Collins. During the inquest Mr Speight said the couple had been "partying" at home on their own and had taken cocaine and sleeping pills as well as drinking wine and vodka. The court heard that Miss Collins had burns all over her body and face, including her tongue, when she was found. Coroner Paul Knapman said the evidence pointed to her having collapsed into the bath and it was likely she had some heart problem that caused her to lose consciousness. The cause of death was given as cocaine toxicity and immersion in hot water. Mr Speight, who is originally from Wolverhampton, was told last month that he would not face any charges over the death. In February he announced he was quitting the programme SMart as his "tragic loss" had left him unable to continue. Since Miss Collins' death he had been living with her mother in Norfolk Avenue, Enfield, north London. Police said family and friends raised the alarm when he failed to turn up for a meeting with a friend in Covent Garden at 1530 BST. Mr Speight, who is 6ft, was last seen wearing a brown suit jacket with dark jeans and a brown flat cap.